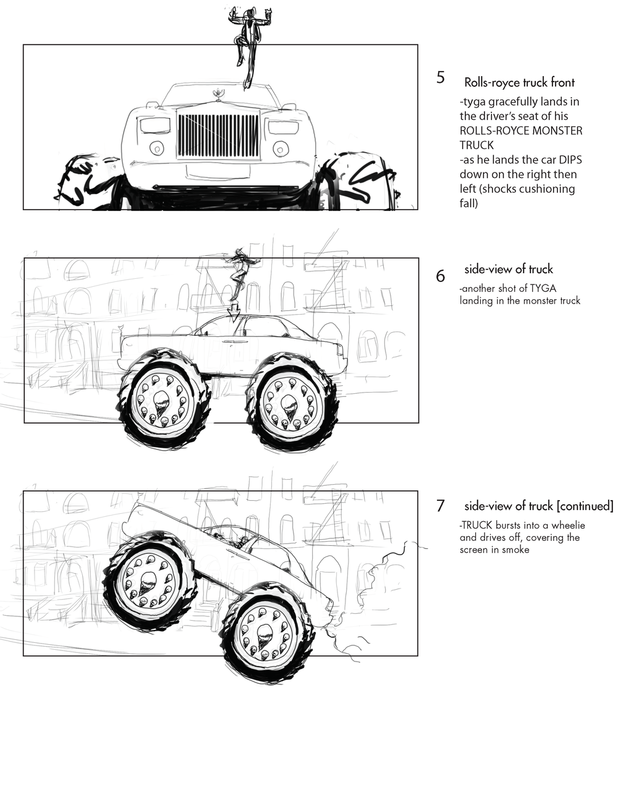 In summer 2013 I was approached by Director Colin Tilley to make an animated music video with him for artists Tyga and 2 Chainz. 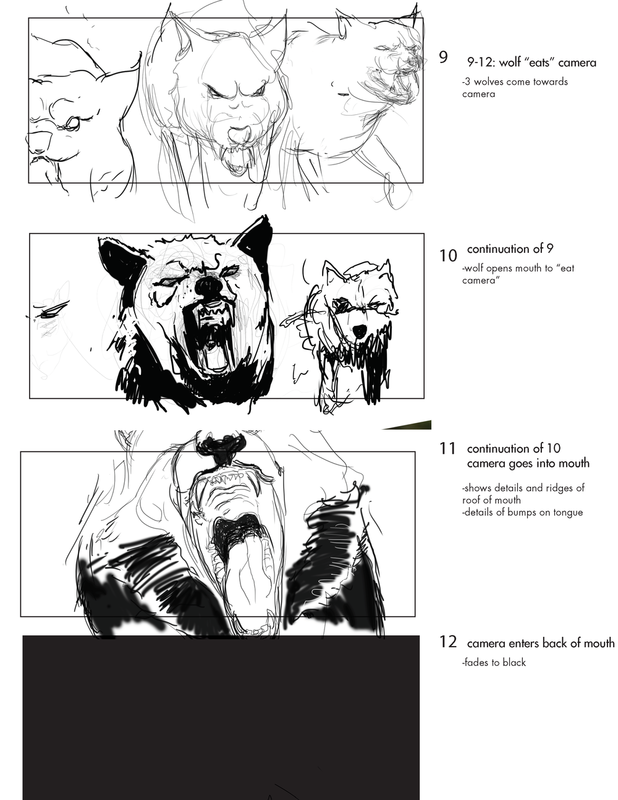 I was given a loose treatment for the video and a tight deadline. 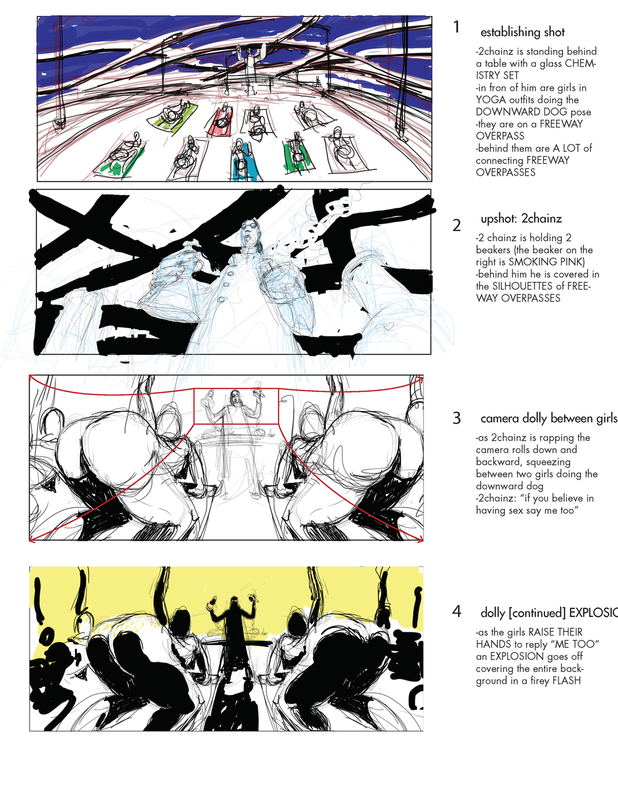 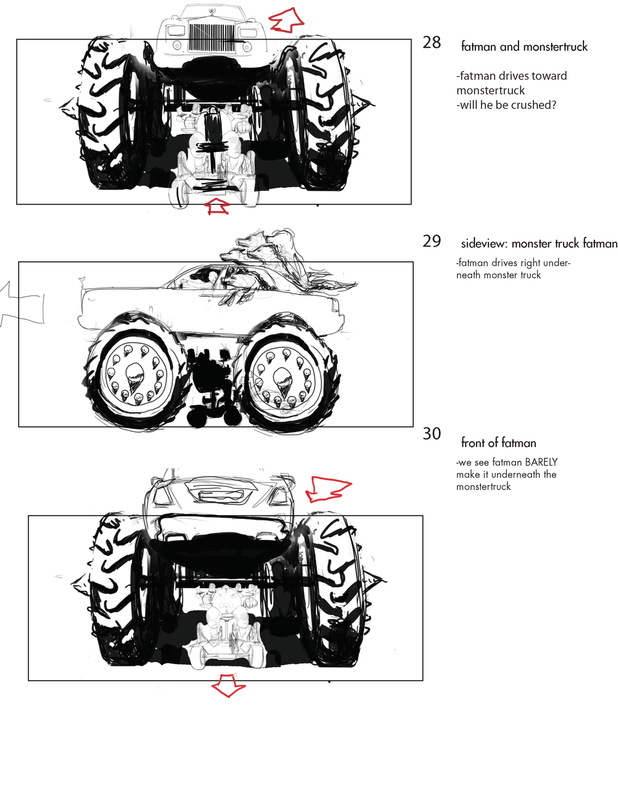 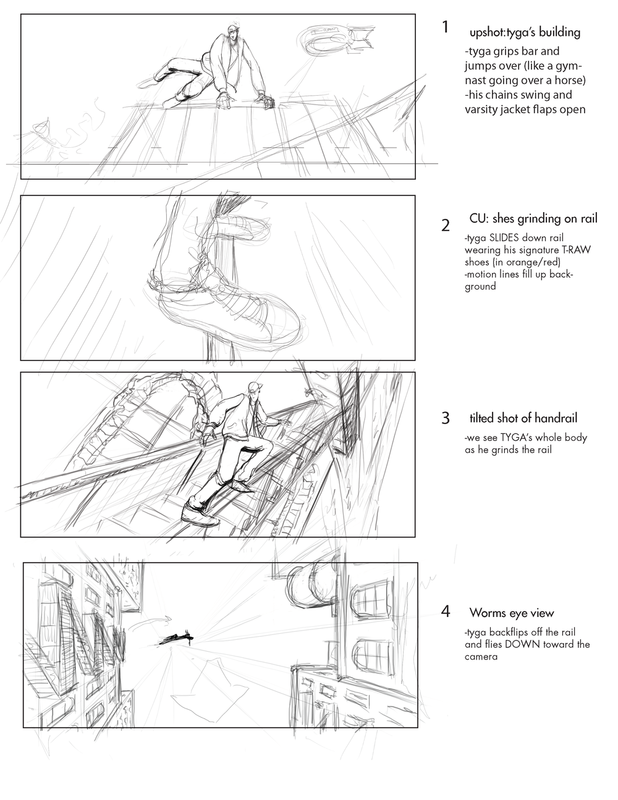 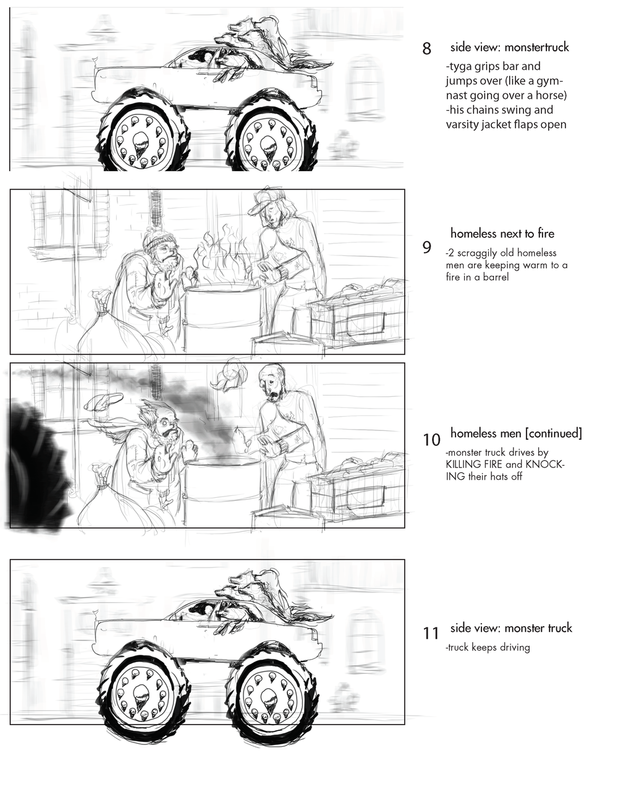 The following are the storyboards I provided.